She recently performed at various jazz festivals across Canada as well as at Dizzy’s Jazz Club-Lincoln Center in New York with this ensemble. Jensen has previously released three small ensemble recordings: Collage (2000), A Shorter Distance(2002), and Look Left(2006), all on the Effendi label. Along with her sister, New York-based trumpeter Ingrid Jensen, and close friend and long-time musical cohort, Swedish pianist, Maggi Olin, she co-leads the group, Nordic Connect. They released their first joint effort in 2007 entitled Flurry and followed up in 2010 with Spirals. The group has toured Canada, the US and Scandinavia extensively over the past five years. As an adjudicator, clinician, and instructor at McGill, she is influencing the next generation of composers and players. In her travels abroad, she has shared her love of music and invaluable experience with young jazz enthusiasts around the world, from Norway to Peru, Turkey to Montreal, and back home on the West Coast. She has always been active in jazz education, leading clinics and workshops and adjudicating. 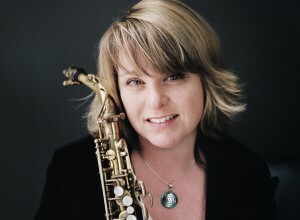 Over the years, she has collaborated with a diverse array of musicians, including Geoffrey Keezer, Lenny, Pickett, Brad Turner, Karl Jannuska, François Théberge, Gary Versace, Donny McCaslin, Steve Amirault, Franck Amsallem, in addition to her long-term musical relationships with sister, Ingrid and partner, saxophonist-composer Joel Miller.